Every driver has obligations while on the road. Some of those are complicated and nuanced, but the big one — that we all safely share the road — is not. That means sharing it with other cars, with motorcycles, and with bicyclists and pedestrians. Sadly, many drivers struggle to live up to those obligations when it comes to motorcycles. We've helped too many clients who suffered devastating injuries as a result of another driver's negligence. If you are searching for an experienced Miami, Florida, motorcycle accident lawyer you can trust, please call the Hickey Law Firm, P.A. today at 305-371-8000 or contact us online for a free consultation. According to the National Highway Traffic Safety Administration (NHTSA), accidents are 37 percent more likely to be fatal to motorcycle riders than to drivers or passengers of cars. Lack of safety devices and restraints like seatbelts leave motorcyclists vulnerable to sustain severe or even catastrophic personal injuries as a result of accidents which may otherwise seem minor. Head injuries are a common result of motorcycle accidents due to the force of impact when a rider hits the pavement, even when a helmet is in use. If you were injured as the result of a motorcycle accident in Florida, you need John H. (Jack) Hickey on your side. He fights for his clients and will work hard for you. Our Miami injury attorney has the experience and skill it takes to get you positive results after your traumatic injury or accident. Negligence is a dangerous thing when it comes to driving on the road. This is especially true for those who drive motorcycles, as you face an increased risk of severe injury from an accident with another vehicle. Negligence can take many specific forms, but the important thing to remember is that you can pursue compensation if you were the victim of such negligence—and we're positioned to help. Our motorcycle accident lawyers understand that discovering the cause of your accident is the first step in proving liability and pursuing the compensation you deserve. We will conduct a thorough, professional investigation into your wreck and find its true cause. Contact the Hickey Law Firm, P.A. today to get started. 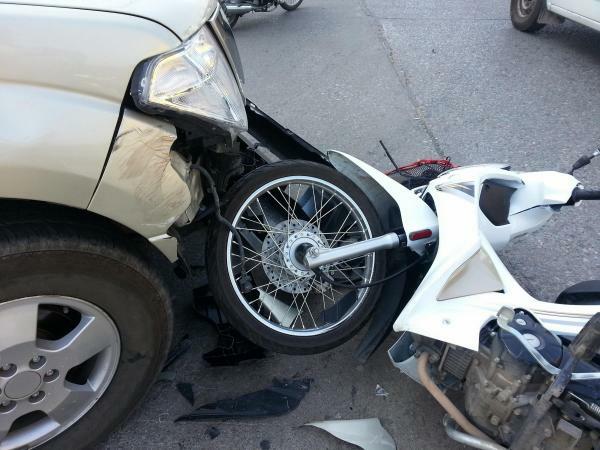 Motorcycle accidents can have devastating effects on you and your entire family. Because of the serious injuries that can occur, you may face years of rehabilitation and expensive medical bills that can saddle your family with unwanted debt. When your accident is caused by the negligence of another, you deserve justice and fair compensation to take that financial burden off your shoulders and bring some peace of mind to your loved ones. Among the many honors John H. (Jack) Hickey has received for his legal work, he has been nominated by his peers as one of the “Legal Elite” (the top 1.7 percent of all lawyers) in Florida Trend Magazine. He has appeared on Anderson Cooper, Dr. Drew, as well as CNN and other networks. His legal opinions and reactions to cruise ship accidents and other disastrous events are highly valued and sought out by news outlets worldwide. When you or someone you love is suffering from an injury caused by another person’s negligence, you can trust our experienced legal team to help you get the compensation you deserve. To learn more about how we can advocate for you following a motorcycle accident, call us at 855-375-3727 for a free consultation.